The 2016 season has arrived.Â With one of the most tumultuous offseasons we’ve seen so far behind us, it’s only fitting that we kick off the Spring Split with the most storied rivalry in the region: Team SoloMid vs. Counter Logic Gaming. While CLG holds the edge in more recent history, a matchup between these two teams almost never disappoints. Let’s see how the first day of competition played out for the reshaped North America. In the first and most anticipated game of the day, CLG showcased the power of coordination with superior objective control and map play, especially in the early game. With a failed lane swap from TSM to start the match, CLG managed to jump ahead and stayed in the drivers seat, secured by a baron around the 23 minute mark which would set the pace for the rest of the game. In staggered moves around the Dragon and Baron, CLG would eventually close the game out Â after 44 minutes, five Dragons, and an impressive debut from CLG’s newest addition Trevor “Stixxay” Hayes. Participating in 19 of CLG’s 22 kills, the recently recruited AD Carry came into this game with some big shoes to fill, replacing his lane counter andÂ longtime CLG AD CarryÂ Yiliang “Doublelift” Peng. CLG looks to a much easier gameÂ 2Â against the 0-1 Team Dignitas, and Team SoloMid hopes to recover for an even week in a vital game against Team Liquid. Living up to the preseason hype, Immortals delivered a clean performance against Cloud 9, withÂ JunglerÂ Kim “Reignover” Yeu-jin putting the team ahead from the beginning and never letting go. Though the first outer tower would fall rather late at 16 minutes and 50 seconds into the game, once it was down, Immortals continued pressing into C9 and methodically closed the game out at the 27 minute mark. With a creative Cho’Gath pick from the teams coaching staff and Heo “Huni” Seung-hoon, the top laner was able to shut down the Cloud 9 carries and deliver kill after kill onto AD Carry Jason “WildTurtle” Tran. WildTurtle put up 11 Â kills and 4 assists in his season opener, closing the game with a quadra kill and silencing the critics that he was past his prime or less than ideal for the newly minted Immortals team. While Immortals look to be a contender for a top spot in the league,Â Cloud9 once again looked to be in disarray without shotcallerÂ Hai â€œHaiâ€ Du Lam, who is looking to transition out of the starting position for the team as support playerÂ Michael “Bunny FuFuu” Kurylo steps into the role. In the third matchup of the day, we saw a handicapped NRG using substitutes Cristian “Cris” Rosales and Lee “Shrimp” dispatch of Team Dignitas after falling behind to aÂ mid lane pushÂ after an early gank Â onto Lee “GBM” Chang-seok. Marked by an impressive opening performance culimating in two baron steals by the former Jin Air mid laner, a back and forth battle between the two teams would eventually find NRG coming out with a 40 minute win. Despite a strong performance from mid laner Danny “Shiphtur” Le with an 8 kill Anivia, Team Dignitas was lacking in synergy and never quite managed to executeÂ despite an early lead. Performing solidly, NRG is in decent shape heading into their match against the Renegades. Dignitas on the other hand has a lot of work to do if they expect to put up a fight against the very-in-sync CLG. Patch 6.1 may be regarded for having faster games, but that didn’t stop the Renegades from taking a full hour before closing this one out in an important victory over Team Liquid. Qualifying into the Spring Split by winning the Challenger Series last season, the Renegades showcasedÂ the advantages of team synergy starting the game off with advantages coming from both the top and bottom lanes.Â AleÅ¡ â€œFreezeâ€ KnÄ›Å¾Ã­nek and Maria “Remi” Creveling proved to be a force in the bot lane, with a huge 11-2-7 score and 100% kill participation from Freeze. Playing around the initiation of Remilia’s Alistar and Freeze’s Kalista, Renegades made good use of strong teamfighting assisted by the tankiness of Mundo and Alistar and shielding power of Alex Ich’s Orianna. In the final fight of the game, Team Captain Alberto “Crumbzz” Rengifo managed to steal the Baron and finally close out the game. Team Liquid will utilize it’s 10 man roster with substitutions in the support and jungle positions in their match against TSM. Renegades should look to continue playing around their bottom lane and using their superior team play to gain advantages in their gameÂ against NRG. Before this match started, there was an air of caution around the recently formed Echo Fox squad as it has several unproven and otherwise unheard of players. With star player Henrik “Froggen” Hansen at the center of the team and AD Carry Yuri “KEITH” Jew finally getting his chance at a starting role, it was up to Froggen’s veteran leadership to bring this squad of mixed experience together. With a 37 minute victory over Team Impulse and a stellar 7-0-5 performance from Keith, Echo Fox looked promising in their LCS debut. Team Impulse however is a team playing with substitutes and Support Austin “Gate” Yu in the mid lane for the first time in months, so I wouldn’t put too much stock into this match. The first litmus test for Echo Fox will be against Cloud 9, who will be out for blood after a one sided loss to Immortals. Speaking of the Immortals, they should have no problem handling Team Impulse when they meet in their second game. Caymus is a journalist and content creator for SoloMid. You can find him getting caught out in the depths of solo queue, or on twitterÂ talking about Esports. In the premiere edition of Sessions,Â Noah Whinston talks about his transition into eSports, acquiring investor interest, player treatment, and more. Editors Note: Clinton Foy is the managing director of venture capital firm CrossCut Ventures. Caymus is a content creator and journalist for SoloMid. You can find him getting caught out in the depths of solo queue, or on twitterÂ talking about eSports. Following the recent changes in Korea,Â Yeon “TrAce” Chang-dong, Lee “Chaser” Sang-hyun, and Kang “Cpt Jack” Hyung-woo have ended their contracts with the Jin Air Green Wings. It is so far unknown where the players may end up next. Making it to the finals of the 2015 LCK Regional Qualifiers before falling to KT Rolster, Jin Air looks to rebuild after also recently losing star mid laner Lee ‘GBM‘Â Chang-Seok to North American Squad NRG. NoL will continue to provide updates as information becomes available. With a rosterÂ set to compete atÂ IEM San Jose, TSM has revealed the final pieces to the roster puzzle in it’s new coaching staff. Taking over the Head Coach position will be KC “Woodbuck” Woods. Operating as Strategic Coach will be Josh “Jarge” Smith, who formerly served as Head Analyst for Fnatic. KC, aka Woodbuck, here.Â I am the new head coach for TSM this year. Hopefully you give me a small break for my first time on camera, it was not very natural for me. This year, I will be working with my strategic coach, Jarge, to help the team reach their personal and team oriented goals. Jarge will focus on their performance in game by helping the players understand the fundamental strategy of the game, adjust to metas, pick/ban, etc. You all should be extremely hyped by how ridiculously talented he is in this regard. Since this is an extremely time consuming task, I will take responsibility for everything else, so he can remain focused. My role as the head coach will be to create a culture and structure within the team that promotes a strong work ethic, a resilient team bond, and a sense of responsibility to do everything the right way — the TSM way. I have laid out my expectations to the players and I will ensure they follow through. I am telling everyone right now, I will not accept anything but their best effort and I will not allow the culture of this team to breakdown. This will be the most unified and disciplined team in NA. Jarge and I are 100% committed to working our asses off this year and we will set the example for the players to follow. A lot is going to change in the TSM house/office, and I hope everyone is ready to come along for the ride. I’ll be working closely with Andy, Josh, and KC to set up a solid infrastructure for this year. Then I’ll be stepping back and working for the TSM organization. Thank you everyone for your support last year, and I know KC and Josh will do an incredible job for the team moving forward. 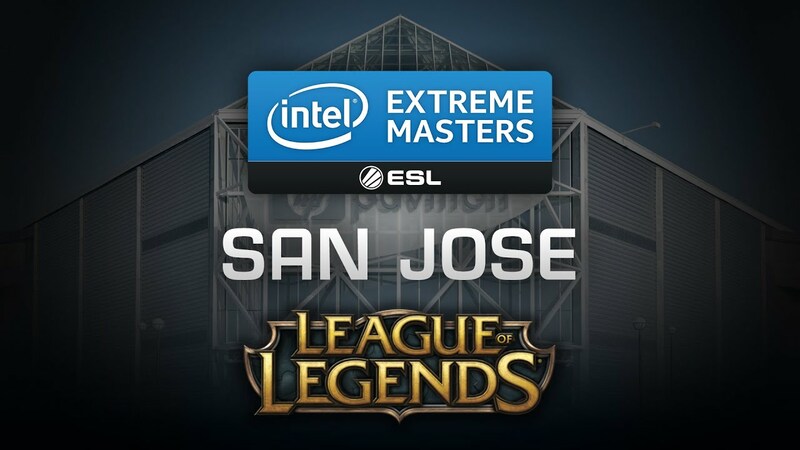 Check out theÂ new TSM roster in action at IEM San Jose, beginning on November 21st. In week 7, Team Winterfox made a controversial roster swap by moving Johnny â€œAltecâ€ Ru into the support position, with their Head Coach Hyun-il â€œParagonâ€ Choi filling in for the AD carry role. In their latest round of changes, Altec will return as the starting AD carry, with substitute player Nicolas ‘Gleeb’ Haddad once again leading the starting Support position. Winterfox hopes these changes will be enough to secure them a spot in the playoffs. They currently sit at 5-9, sharing 8th place with Team Dignitas. Team Dignitas has announced that beginning inÂ Week 6 of the NA LCS Spring Split,Â Andrew “Azingy” Zamarripa will be trying out for the Starting Jungler position. The move comes among team performance issues and is the second change in jungler this split, the first being with week 3’s departure of Crumbzz. Azingy was the jungler for TSM Darkness, it is unclear who will be taking over for the Challenger squad. In one of the most hyped roster additions in the NA LCS, Season 3 World Champion Piglet was recruited for Team Liquid at the beginning of the Spring Season. The Korean Import was expected to dominate the bot lane alongside All-Star support Xpecial, however results have been exceedingly average thus far. As a result, Team Liquid has announced that KeithmcBrief will be moved from the substitute position to the starting AD Carry position for Week 5 due to issues in poor team dynamic. Their Manager, Head Coach, and Analyst will answer further questions and provide further insight into this decision during the next LCS weekend. Read theÂ Official AnnouncementÂ by Head Coach Peter Zhang. Welcome back to Rift Pulse, a weekly roundup of all things LoL eSports. This week follows the start of the LCS, the announcement of a Mid-Season Invitational, a brand new weekly show by Riot, and more. Team Liquid announcedÂ their foray into the Challenger Scene with Liquid Academy. Alex IchÂ will be starting as the Mid Laner for Brawl, in addition to being a substitute for Team 8. Soaz will be playing top for Origen,Â finalizing their roster. Fnatic has announced the formation of “Fnatic Academy“, a secondaryÂ squad with the goal of participating the the Challenger Series that will also serve as practice partners. Â FzzfÂ has announced that heÂ isÂ retiring from competitive play. CJ Entus is now partnered with Beats By Dre. With LCS fast approaching, Riot has put out a promotional websiteÂ packed with features, roster information, a full schedule, and more. Riot has announcedÂ a new “Mid-Season Invitational” Â a brand new international event held in May, between the Spring and Summer splits. The event will take place in NA, the venue is still TBA. Riot has released an updateÂ detailing new plans for live events in NA. Most notably, the NA LCS Summer playoffs will not be hosted at PAX Prime this year. Riot has also announcedÂ “Primetime League“, a new weekly show hosted by Jatt and Riv that will air on Twitch starting on January 21st, at 3PM PST.